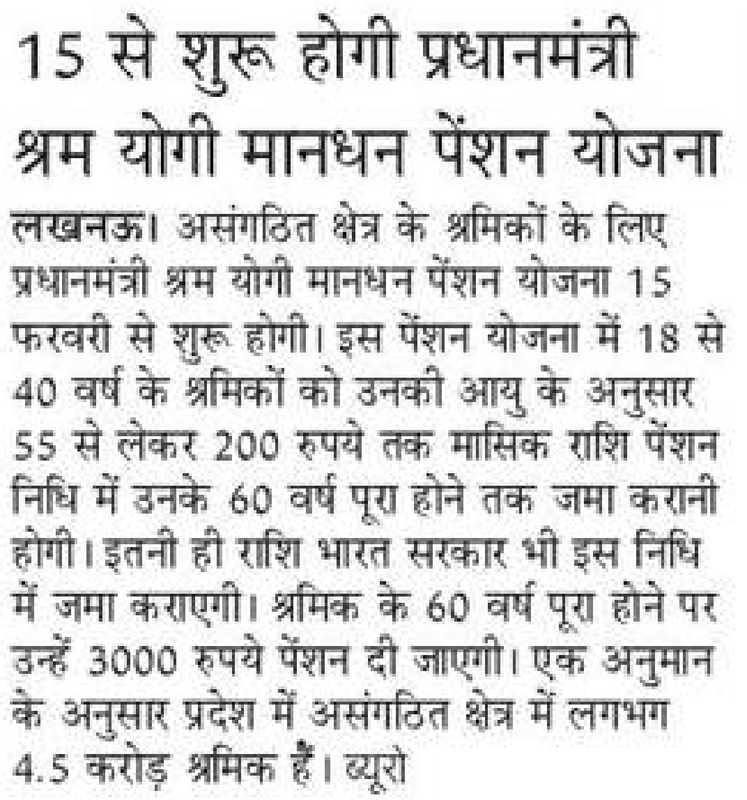 latest news 15 February 2019: below are how to add name list and check status for shram yogi mandhan pension scheme for all indian. 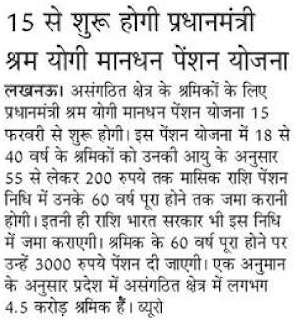 Answer : Minimum age limit to become shram yogi pension name list is 18 years and up to 40 years you can apply. Age Relaxation may be also given (Soon check back this posts). How much Minimum Amount we have to pay during application form filling. Answer : You will have to pay rs 55 from when you applied and up to rs 200 Per month or deducted from your direct benefit transfer (DBT). When will I receive payment of Shram Yogi Mandhan Pension Yojana. Answer : From the age limit of 60 years.3,000 per month credited message on your mobile number. Is PM Modi Shram Yogi pension Yojana for Uttar Pradesh, Bihar, MP or other Hindi States Only. Answer : No This is Central Government Scheme its Name will be changed or you ill directed to other pension scheme. You are free to apply. Answer : There is no last date to apply in shram yogi pension scheme.